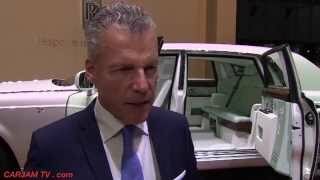 At the 2015 Geneva International Motor Show eyes of viewers paused for a while at this unmatched combination of contemporary furniture design with Japanese robe motifs. Rolls-Royce Phantom Serenity 2015 is a remarkable work by Bespoke, a brand known to bring the heaven’s blend live. 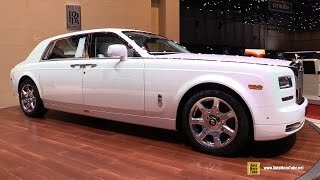 Let us see what all they have added in this Rolls Royce model to redefine standards cherished with serenity. The journey like rest began with a blank piece of paper, best in work people gathered at a desk and this was how designing found its way on paper. Chinese craftsmen were further involved due to their impeccable experience of years in creating imperial embroidery and yes the silk. 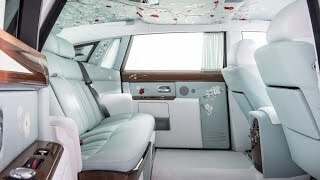 Further the 10 meters of silk so consumed took almost two hours per meter for the people in Britain’s oldest mill to embark the interior with around 140 threads per centimeter resulting in this beautiful smoke green color in the interior of Rolls Royce Phantom Serenity. To give the final touch to this finest silk with beyond imagination artwork, petal by petal work with commitment and dedication of hand painting. The essence and reward took around 600 hours to finish a panel. 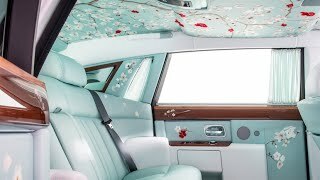 Use of Hand Woven Silk in the interior of Rolls Royce Phantom Serenity 2015 and the way it has been used makes it a place beyond the world leisure but the same gets the blend of immortality redefining leisure with the Hand Painting work. The interior through its painting holds the classical touch of branches, leaves, flowers etc with each of them as if alive. Need to be mentioned that team Bespoke has done an appreciable work in making the interior an irrevocable art work. The exterior of Rolls Royce Phantom Serenity 2015 goes very well with its interior design. The exterior beyond art holds the hand of engineering designs bringing in its new world, a new era front face, rectangular LED headlamp clusters, attractive indicator strip and all new front bumper. The single piece grille with an option of color coded grille surround is also an unmatched addition. Apart the new wheel finishes, redesigned rear bumper beholding polished stainless steel highlight are also a step to newer definition of luxury. The new Rolls Royce Phantom Serenity 2015 entirely with its name depicts its intentions. Headings above narrated serenity while the power of Phantom makes it roll sitting beneath the hood. Through its 6.7 Liter V12 engine the model makes 453 HP run through with 720 NM torque. Perceptions and rounds of rumors looking at the engine’s power say that the model from Rolls Royce and Bespoke is expected to touch 0-60 mph in 5.7 seconds while the top speed is expected to be around 155 mph. 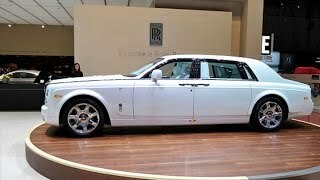 As far as price of Rolls Royce Phantom Serenity 2015 is concerned, the company though didn’t revealed it but looking at all its features it is expected to be around $ 5,00,000.